2018 GMC Sierra 1500 6.2L Crew Cab Rare Loaded Every Option Lifted!!! 2018 GMC Sierra 1500 SLT TUSCAN BADLANDER Edition, 4WD, auto, V8, EcoTec3, 6.2L! Our service team just finished installing a lift, NEW Fuel Gripper M/T, NEW Asanti Off-Road, fresh service and full inspection on this beautiful lifted Sierra! Inside you will find black leather seats, power seats, heated and AC seats, O.E touch screen interface, AM/FM radio, SAT radio, CD Player, AUX port, navigation, BOSE Sound System digital dual zone climate control, Bluetooth, Steering wheel controls, heated steering wheel, cruise control, Sunroof, digital vehicle information center on dash, auto headlights, backup camera, rear parking sensors, front bumper Badlander, rock lights, light bar, side steps, power windows, power door locks, power mirrors, tow package and MORE!! 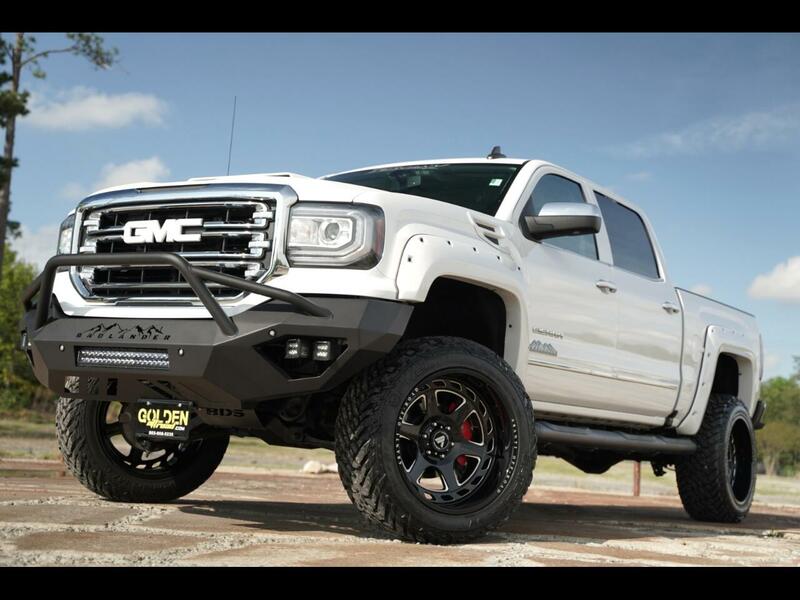 If you want to know more about this AWESOME LIFTED SIERRA or any of our other inventory, give us a call 803-808-5235 OR stop by and take a test drive TODAY! !